I had them 10 days later. Boys - 9 lbs 11 oz and 8 lbs 10 oz. by c-section. those were some big boys!! i delivered my twin girls at 37w6d by c-section. maddie weighed 5 lbs even and priscilla weighed 6 lbs 1 oz. when i tell people, they say 'oh, those were good sized twins'. that's nothing compared to your boys!! l thought my twins were big. Girl, 7.3 pounds (Abbey). Boy, 8 pounds (Foster). 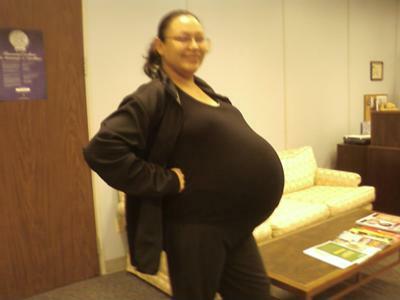 l got to 38 weeks and had a c-section on 23-12-08. Very happy for you. l can't get over there weights. Just wonderful. The last two days I was in the hospital getting ready. my doctor suggested it was the right thing to do, bed rest last two day..haha, but before that I was walking, climbing stairs, doing all my housework, trying everything to go into labour, didn't work. I had a scheduled date of October 30, 2008. my due date was Nov 9, 2008. Wow - I bet you weren't walking because I certainly wasn't. Mine too arrived at 38 weeks, 5 days, both boys, but just under 7 lbs each. YIKES. Congratulations! Wow they were big and healthy. Blessed. I hope that I carry mine in that long! Congratulations!!! Good job I hope mine will come out to weight at least some where around that! How did you carry all of that weight? They were huge!